For the first time since Tessa met Dastien, life is quiet. The evil witch, Luciana, is six glorious feet under, St. Ailbe's is closed due to human trespassers, and people are finally getting used to the fact that supernaturals exist in the world. It seems like the perfect time for a honeymoon. After traveling to Dastien's house in Provence, clubbing in Paris, and attending Meredith and Donovan's Full Moon Ceremony in Ireland, Tessa and Dastien head to the Caribbean. Their trip is turning out to be the honeymoon that fantasies are made of-sunset cruises, long walks on the beach, and every romantic cliché you can imagine. Tessa couldn't be happier. Except that Tessa's visions are on the fritz. She hopes that means that nothing is brewing. That everything is quiet because all is well. But Tessa's never been one to assume anything. When she's magically attacked and nearly dies, Tessa knows she can't ignore the signs anymore. Something huge is going on. As much as she doesn't want to call an end to their six-week honeymoon, it's time to head back to Texas. Whoever messed with Tessa is in for a rude awakening. 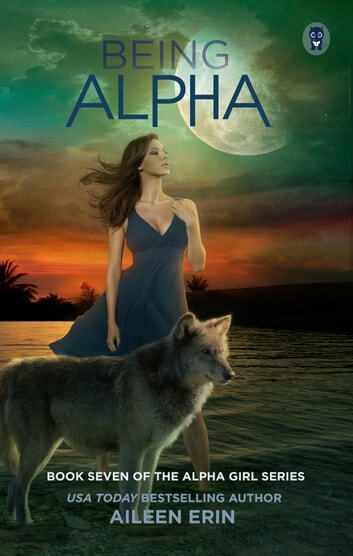 Because if there's one thing fighting rogue witches and werewolves has taught her, it's how to be Alpha. This one started out slow but the pacing improved a lot in the last half so if you have followed the rest of the series you will not want to miss this one. Another part of this book is it sets up a continuation of the series but focused on secondary characters they we already know while introducing a few new one. Love the new avenue the book is going, can't wait to see the new and exciting course these new characters mixed with the old go. The twist and turns that are available are coming I am sure in the new books ahead. Keep writing love Tessa and her crew. Happily newly wed Tessa and Dastien want nothing more than to enjoy their honeymoon and, for once, not think about the pack or demons or crazy witches. But, when Tessa almost dies, there is no way they can stay away from home any longer. Coming back makes it clear that Tessa has a problem, a big one. A demon is attached to her and he wants her power, all of her power. That means she will be dead, if Dastien and the other pack members can't help her get rid of this demon. This is one of my favorite shifter series and I can't wait for the next book to come out. Highly recommended series! 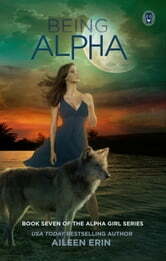 Alpha girls is one of the most addictive series I have read in a long time. I have gone from book to book to book barely coming up for air and I can not wait for the next instalment. I love how the stories are told from a first person narrative, with each character’s voice so unique and relatable. I highly recommend this series.